The last speaker for the 2015-2016 season of WKU Libraries’ “Kentucky Live!” speaker series was Aimee Zaring, an author from Louisville, KY. She talked about her book Flavors from Home: Refugees in Kentucky Share Their Stories and Comfort Foods on Thursday, April 14 at Barnes & Noble, Bowling Green, KY. She brought with her some Bosnian dessert pastries provided by Mirzet Mustafić. 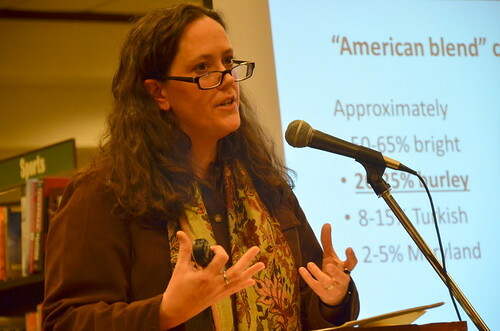 Bowling Green author Molly McCaffrey was the speaker in the Kentucky Live! series on November 19, 2015 at Barnes & Noble Bookstore. She talked about and read from her newest book You Belong to Us: One Baby, Two Sets of Parents, a memoir which tells the story of her experience meeting her biological family just after her thirtieth birthday. 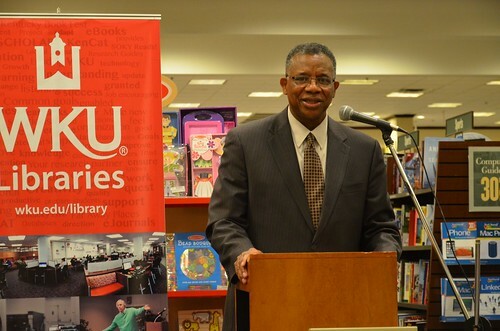 John Hardin, Professor of History at WKU, talked about his recently published work The Kentucky African American Encyclopedia in the WKU Libraries-organized Kentucky Live! 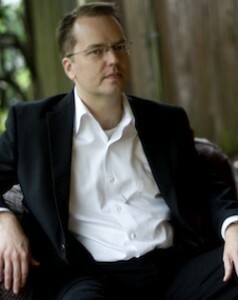 event on the evening of October 8 at the Barnes & Noble Bookstore in Bowling Green, Kentucky. Jane Olmsted kicked off this season of WKU Libraries’ Kentucky Live! with a presentation of her book of poems Seeking the Other Side. The event took place in the Western Room of the Kentucky Building on WKU Campus on the evening of September 17, 2015. It concluded with Jane Olmsted signing her books. 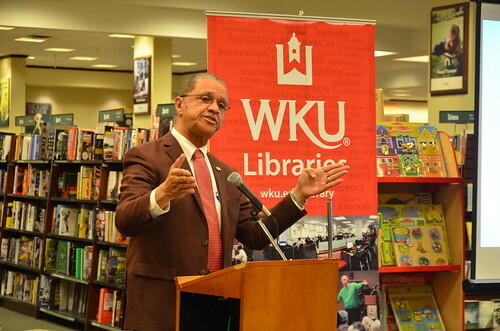 WKU Libraries’ Kentucky Live! series hosted Nathaniel Northington, the first African American football player in the Southeastern Conference (SEC), on the evening of Thursday, March 19 at Barnes & Noble bookstore. 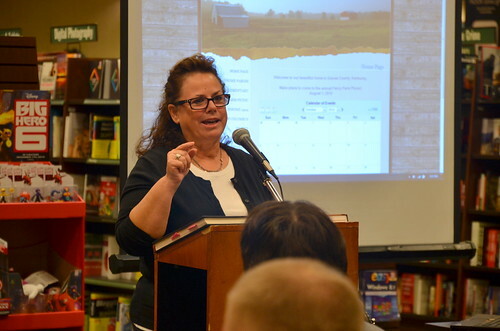 Folk Studies Professor Ann Ferrell discussed “Burley: Kentucky Tobacco in a New Century” in our Kentucky Live Series on Thursday, February 13 at Barnes & Noble Bookstore. WKU’s bestselling author David Bell, an Associate Professor of English, makes a return visit to WKU Libraries Kentucky Live! Southern Culture At Its Best series on Thursday, November 14th at 7:00 p.m. at Barnes & Noble Bookstore, 1680 Campbell Lane. 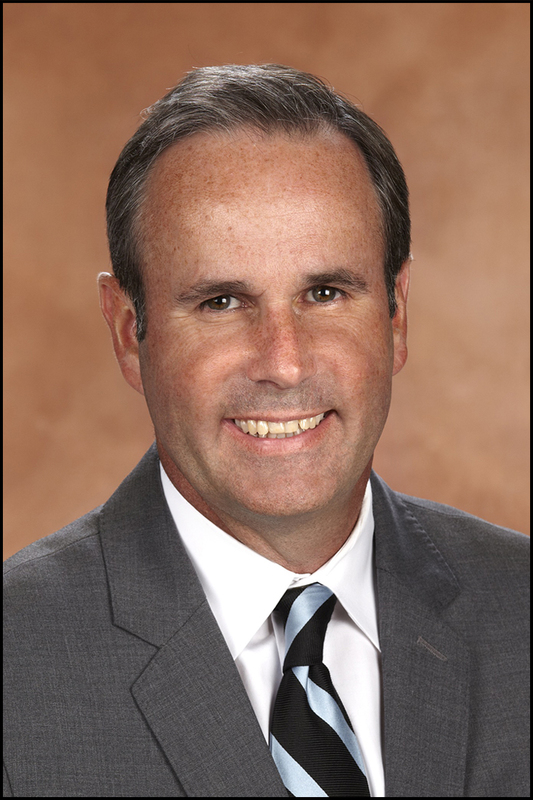 He’ll be talking about the “key elements” in writing a good mystery novel and how they differ from regular fiction and reading from his newest novel. A book signing will follow. 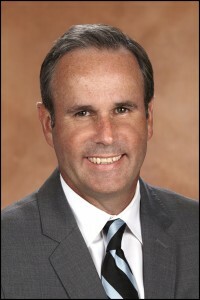 Marc Murphy is a native of Ashland, Kentucky where he grew up in the Appalachian steel and coal country. His father was a native of Prince Edward island, Canada while his mother’s family were of Slovenian heritage. His father was a TV and radio personality and his mother an accordion player. They met while both were performing at a TV station in Charleston, W.V.